High quality, medium-to-hard grade of cork-elastomer jointing based on nitrile elastomer. 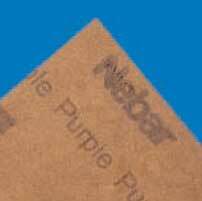 Replacement material for Nebar N67. • Robust grade for heavy electrical duties. • More resistant to over-compression than normal cork-elastomer grades. • Resists all commonly used transformer fluids. • 110°C maximum recommended operating temperature in liquids; tolerates intermittent excursions to 120°C. • Retains flexibility down to –25°C. Complies with ASTM F104 line call out F224000M2. Precision cut gaskets to any shape, size and quantity. In sheets 1.2m x 0.9m for thicknesses 1.5mm, 3mm, 4mm, 5mm, 6mm, 6.4mm. Sheets 1.27m x 1.014m for thicknesses 1.5mm, 5mm.